Pure Silver Metallic 2010 GMC Sierra 1500 SLT 4WD 6-Speed Automatic Vortec 5.3L V8 SFI VVT Flex Fuel **ONE OWNER**, **LOCAL TRADE**, **LEATHER**, DONT LET THE MILEAGE FOOL YOU ON THIS HIDDEN GEM!! 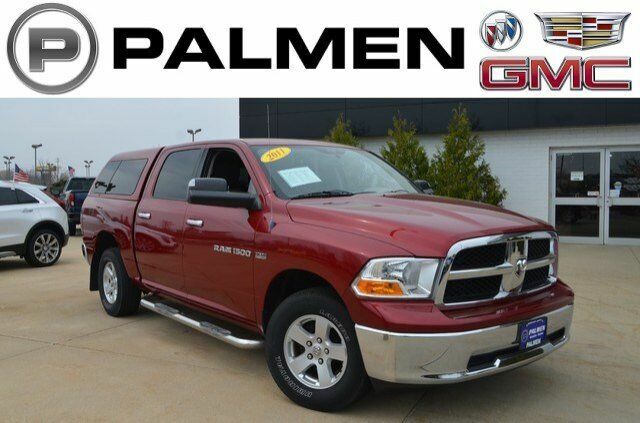 !, **CREW CAB**, **4WD**, **REMOTE START**, **HEATED SEATS**, CALL OR TEXT JODI AT 262-748-8005, PALMEN BUICK GM CADILLAC ONLY 15 MIN FROM IL AND 20 MIN FROM MILWAUKEE, #1 RATED AUTO DEALERSHIP FOR CUSTOMER SATISFACTION IN 2015, Vortec 5.3L V8 SFI VVT Flex Fuel, 6-Speed Automatic, 4WD, ebony Leather. Onyx Black 2016 GMC Sierra 1500 SLE 4WD 6-Speed Automatic Electronic with Overdrive V8 IPOD/USB PORT, BLUETOOTH, **ONE OWNER**, **ACCIDENT FREE AUTOCHECK**, **LOCAL TRADE**, **4WD**, **REMOTE START**, CALL OR TEXT JODI AT 262-748-8005, PALMEN BUICK GM CADILLAC ONLY 15 MIN FROM IL AND 20 MIN FROM MILWAUKEE, #1 RATED AUTO DEALERSHIP FOR CUSTOMER SATISFACTION IN 2015, 6-Speed Automatic Electronic with Overdrive, 4WD, jet black Cloth, ABS brakes, Alloy wheels, Compass, Electronic Stability Control, Emergency communication system, Front Frame-Mounted Black Recovery Hooks, Heated door mirrors, Illuminated entry, Low tire pressure warning, Rear Vision Camera w/Dynamic Guide Lines, Remote Keyless Entry, Remote keyless entry, Single Slot CD/MP3 Player, Traction control. Onyx Black 2017 GMC Sierra 1500 4wd SLE 4WD 6-Speed Automatic Electronic with Overdrive EcoTec3 4.3L V6 Flex Fuel 6-Speed Automatic Electronic with Overdrive, 4WD, dark ash Cloth, ABS brakes, Electronic Stability Control, Front Frame-Mounted Black Recovery Hooks, Low tire pressure warning, Traction control. 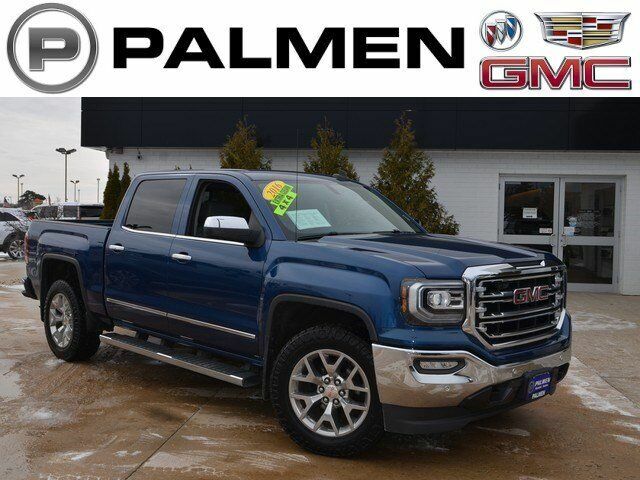 stone blue metallic 2016 GMC Sierra 1500 SLT 4WD 6-Speed Automatic Electronic with Overdrive V8 IPOD/USB PORT, BLUETOOTH, **ONE OWNER**, **ACCIDENT FREE AUTOCHECK**, **LOCAL TRADE**, **LEATHER**, **CREW CAB**, **4WD**, **REMOTE START**, **HEATED SEATS**, CALL OR TEXT JODI AT 262-748-8005, PALMEN BUICK GM CADILLAC ONLY 15 MIN FROM IL AND 20 MIN FROM MILWAUKEE, #1 RATED AUTO DEALERSHIP FOR CUSTOMER SATISFACTION IN 2015, NEW FIBERGLASS CAP, 6-Speed Automatic Electronic with Overdrive, 4WD, jet black Leather, ABS brakes, Chrome Door Handles, Compass, Dual-Zone Automatic Climate Control, Electronic Stability Control, Emergency communication system, Front dual zone A/C, Front Frame-Mounted Black Recovery Hooks, Heated door mirrors, Heated Driver & Front Passenger Seats, Heated front seats, Illuminated entry, Low tire pressure warning, Power Adjustable Pedals, Power Folding & Adjustable Heated Outside Mirrors, Rear Vision Camera w/Dynamic Guide Lines, Remote Keyless Entry, Remote keyless entry, Remote Vehicle Starter System, Single Slot CD/MP3 Player, Traction control, Trailering Equipment. 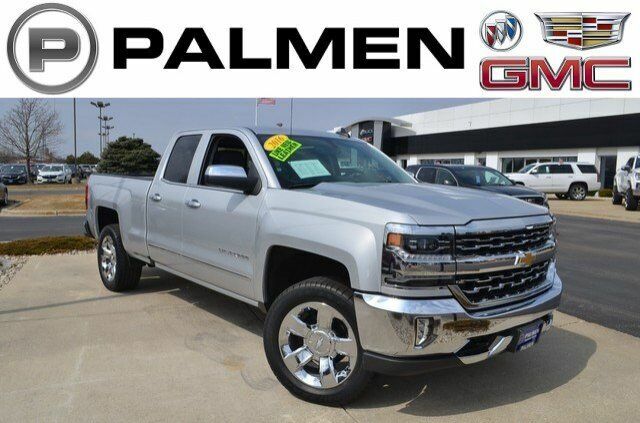 Silver Ice Metallic 2016 Chevrolet Silverado 1500 LTZ 1LZ 4WD 6-Speed Automatic Electronic with Overdrive EcoTec3 5.3L V8 IPOD/USB PORT, BLUETOOTH, **ONE OWNER**, **ACCIDENT FREE AUTOCHECK**, **LEATHER**, **NAVIGATION/GPS**, **4WD**, **REMOTE START**, **HEATED SEATS**, CALL OR TEXT JODI AT 262-748-8005, PALMEN BUICK GM CADILLAC ONLY 15 MIN FROM IL AND 20 MIN FROM MILWAUKEE, #1 RATED AUTO DEALERSHIP FOR CUSTOMER SATISFACTION IN 2015, 6-Speed Automatic Electronic with Overdrive, 4WD, jet black Leather. 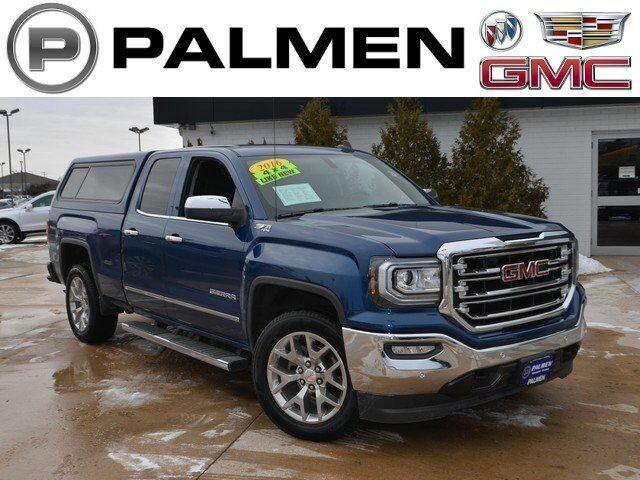 stone blue metallic 2016 GMC Sierra 1500 SLT 4WD 8-Speed Automatic with Overdrive V8 IPOD/USB PORT, BLUETOOTH, **ONE OWNER**, **LEATHER**, **NAVIGATION/GPS**, **CREW CAB**, **4WD**, **REMOTE START**, **HEATED SEATS**, CALL OR TEXT JODI AT 262-748-8005, PALMEN BUICK GM CADILLAC ONLY 15 MIN FROM IL AND 20 MIN FROM MILWAUKEE, 8-Speed Automatic with Overdrive, 4WD, dark ash Leather, ABS brakes, Chrome Door Handles, Compass, Dual-Zone Automatic Climate Control, Electronic Stability Control, Emergency communication system, Front dual zone A/C, Front Frame-Mounted Black Recovery Hooks, Heated door mirrors, Heated Driver & Front Passenger Seats, Heated front seats, Illuminated entry, Low tire pressure warning, Power Adjustable Pedals, Power Folding & Adjustable Heated Outside Mirrors, Rear Vision Camera w/Dynamic Guide Lines, Remote Keyless Entry, Remote keyless entry, Remote Vehicle Starter System, Single Slot CD/MP3 Player, Traction control, Trailering Equipment. Black 2016 Toyota Tundra SR5 4WD 6-Speed Automatic Electronic with Overdrive 5.7L 8-Cylinder SMPI DOHC IPOD/USB PORT, BLUETOOTH, **ONE OWNER**, **ACCIDENT FREE AUTOCHECK**, **CREW CAB**, **4WD**, CALL OR TEXT JODI AT 262-748-8005, PALMEN BUICK GM CADILLAC ONLY 15 MIN FROM IL AND 20 MIN FROM MILWAUKEE, #1 RATED AUTO DEALERSHIP FOR CUSTOMER SATISFACTION IN 2015, NEW TIRES, 4WD, ABS brakes, Electronic Stability Control, Heated door mirrors, Illuminated entry, Low tire pressure warning, Remote keyless entry, Traction control. Odometer is 2140 miles below market average! stone blue metallic 2016 GMC Sierra 1500 Denali Ultimate Package 4WD 8-Speed Automatic with Overdrive EcoTec3 5.3L V8 IPOD/USB PORT, BLUETOOTH, **ONE OWNER**, **ACCIDENT FREE AUTOCHECK**, **LEATHER**, **SUNROOF/MOONROOF**, **NAVIGATION/GPS**, **CREW CAB**, **4WD**, **REMOTE START**, **HEATED SEATS**, CALL OR TEXT JODI AT 262-748-8005, PALMEN BUICK GM CADILLAC ONLY 15 MIN FROM IL AND 20 MIN FROM MILWAUKEE, #1 RATED AUTO DEALERSHIP FOR CUSTOMER SATISFACTION IN 2015, 8-Speed Automatic with Overdrive, 4WD, jet black Leather. Cardinal Red 2018 GMC Sierra 2500HD SLT 4WD Allison 1000 6-Speed Automatic Duramax 6.6L V8 Turbodiesel IPOD/USB PORT, BLUETOOTH, **ONE OWNER**, **ACCIDENT FREE AUTOCHECK**, **LEATHER**, **NAVIGATION/GPS**, **CREW CAB**, **4WD**, **REMOTE START**, **DIESEL**, **HEATED SEATS**, CALL OR TEXT JODI AT 262-748-8005, PALMEN BUICK GM CADILLAC ONLY 15 MIN FROM IL AND 20 MIN FROM MILWAUKEE, #1 RATED AUTO DEALERSHIP FOR CUSTOMER SATISFACTION IN 2015, Allison 1000 6-Speed Automatic, 4WD, jet black Leather. Dark Slate Metallic 2017 GMC Sierra 1500 SLE 4WD 6-Speed Automatic Electronic with Overdrive V8 6-Speed Automatic Electronic with Overdrive, 4WD, jet black Cloth, ABS brakes, Alloy wheels, Compass, Electronic Stability Control, Emergency communication system, Front Frame-Mounted Black Recovery Hooks, Heated door mirrors, Illuminated entry, Low tire pressure warning, Rear Vision Camera, Remote Keyless Entry, Remote keyless entry, Single Slot CD/MP3 Player, Traction control. Recent Arrival! Odometer is 4533 miles below market average! 2016 Ford F-150 4WD 6-Speed Automatic Electronic EcoBoost 3.5L V6 GTDi DOHC 24V Twin Turbocharged 4WD.